Viscount Pools, Spas, and Billiards sells Tour Edition, Pro-Am, Valley, Mercury Ultra, Saturn II, Invitational, and Titan Cloth from Championship Billiards. 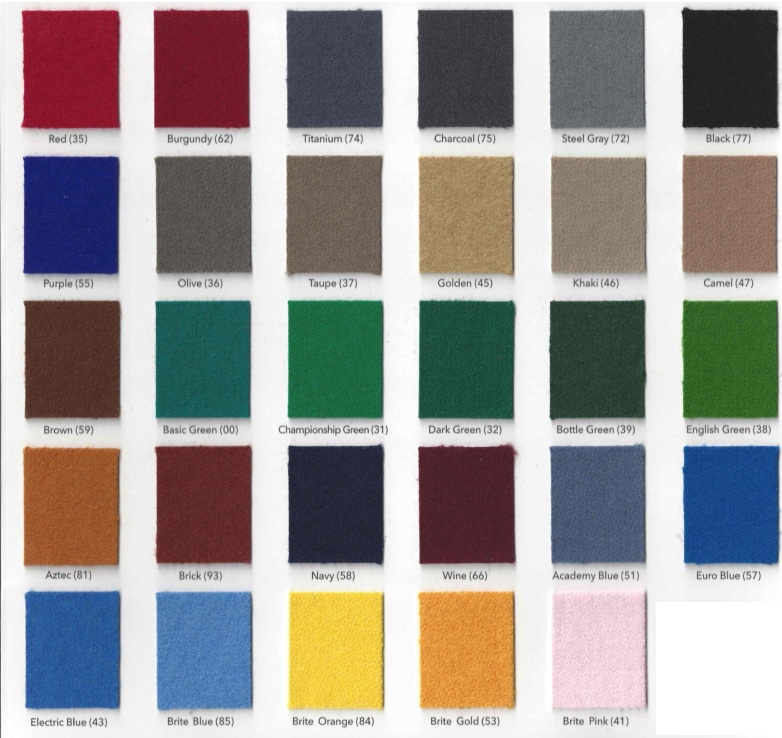 You can choose from these 29 Colors of cloth. *May Not Have All In Stock! * *Mostly Stock Invitational* Invitational is a 20oz Teflon Coated Cloth. Call the Waterford Location for more information!